Find out how we make your home a HEALTHIER home! Carpets, area rugs, and upholstered furniture act as giant filters that trap allergens and bacteria to keep them out of the air we breathe. But, just like an air filter, carpets become full over time and must be properly cleaned to remain most effective at trapping particulates as they settle from the air. This is especially important for the 1 in 5 Americans (roughly 60 million) living with allergies or asthma. You can ensure the healthier indoor air in your home by keeping your carpets clean and in good condition through regular vacuuming. And don’t forget to get your carpets, rugs and upholstered items professionally cleaned every 6 months to rid your home of common allergens and bacteria. Elite Green Team Chem-Dry is committed to providing you with superior solutions and services that you can trust to keep your home clean, safe and healthy. Using a green-certified solution and our Hot Carbonating Extraction cleaning method, we deliver a deeper, longer lasting clean that leaves you with peace of mind and a healthier environment for your family. Our mission is to help people live healthier lives. To ensure that our processes can provide the results you want to maintain a clean and healthy home, we had independent laboratories test our core cleaning methods against some of the most common unhealthy elements found in homes – allergens and bacteria. We’re happy to share those results with you. Chem-Dry’s Hot Carbonating Extraction (HCE) process was tested by a leading independent air quality laboratory in multiple homes. The lab concluded that Chem-Dry removes an average of 98.1% of common household allergens from carpets and upholstery. The common allergens tested were dog and cat dander and dust mite allergens. Additionally, our HCE process, when coupled with a sanitizer, was found to remove an average of 89% of the airborne bacteria in the home and 82.3% of the bacteria in carpets. Indoor air quality is also a significant home health concern because the average home can harbor as much as 200,000 bacteria for every square inch of carpet. As the bacteria builds up, the bacteria lurking in your carpets gets stirred up and circulates in the air your family is breathing unless you properly clean them. A carpet cleaning by Elite Green Team Chem-Dry is not only effective at removing the bacteria from the carpets, upholstery and other surfaces we clean, but it also improves the overall air quality in your home. An independent laboratory also conducted multiple tests of P.U.R.T., our revolutionary process for treating pet urine odors and stains. In tests against the most common odor sources found in dog and cat urine, the study found that P.U.R.T. removes an average of 99.9% of pet urine odors from carpets. When coupled with our HCE process and a sanitizer, the study also concluded that P.U.R.T. removes an average of 99.2% of the bacteria from pet urine stains in carpets. Another service that an independent laboratory studied was our Stone, Tile & Grout Cleaning process. Based on several tests on tile surfaces in multiple homes, the study concluded that our Tile, Stone, and Grout cleaning process, in conjunction with a sanitizer, removes an average of 98.6% of bacteria from these surfaces. Many people don’t realize that carpets, rugs and upholstery act as giant air filters for your home, trapping allergens and bacteria and keeping them out of the air we breathe. But just like any air filters, they all need to be properly and regularly cleaned to remain optimally effective. All of us, and particularly the 1 in 5 Americans (roughly 60 million) who suffer from allergies or asthma, are greatly impacted by indoor air quality and the amount of allergens and bacteria trapped in our homes that can trigger an attack. Considering that and the fact that we spend an average of 90% of our time indoors, selecting a trusted professional with safe and healthy processes to clean your carpet, upholstery, and area rugs is a crucial decision and plays a major role in the health of your home and your family. At Elite Green Team Chem-Dry, we want you to breathe easier about the healthfulness of your home and your family. Whether you suffer from allergies or asthma or you just want to provide the healthiest home for your family, our carpet cleaning method can help you remove the allergens and bacteria hiding in your home and improve your indoor air quality. Because we care for your health, call us today to ensure a safe and healthy home environment for you & your family. *Based on studies conducted by independent laboratories of Chem-Dry’s HCE (Hot Carbonating Extraction) and P.U.R.T. (Pet Urine Removal Treatment) cleaning processes. Allergens tested were dog and cat dander and dust mite allergen. Pet odor results based on testing with the most common odor sources found in dog and cat urine. 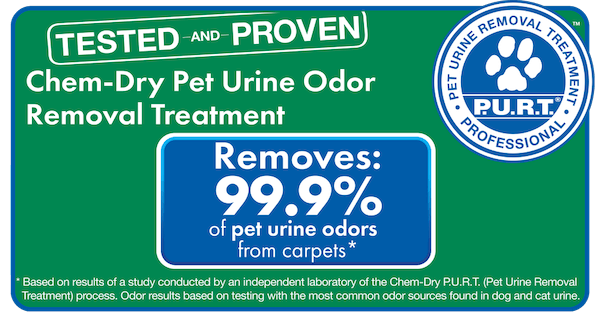 Pet urine bacteria results based on Chem-Dry’s HCE cleaning process and a sanitizer, combined with P.U.R.T. All bacteria results include use of sanitizer. Figures are an average across multiple tests. Call Elite Green Team Chem-Dry Today! Serving all of Galveston, Harris, Fort Bend and Brazoria Counties, Texas, including: Houston, Pearland, Pasadena, Deer Park, La Porte, Alvin, Dickinson, Friendswood, Kemah, League City, Seabrook, and the surrounding areas. © Elite Green Team Chem-Dry 2019. Independently owned & operated in Friendswood, TX /// Site designed by Kite Media.